Practice Areas: Ronit is actively engaged in the fields of Professional Indemnity, commercial litigation, Agricultural claims, D&O insurance disputes and Real Estate. In the past fifteen years, Ronit has specialized in insurance disputes. 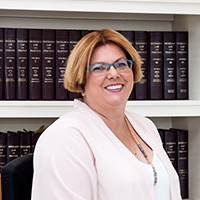 Her work involves litigation in various fields (Professional Indemnity of Accountants, and other various claims of Professional Liability, Agricultural claims and others). In addition, Ronit handles and monitors D&O insurance disputes in respect of various fields of commercial claims filed against D&Os of the largest Insurance Companies in Israel. Membership: A member of the Israel Bar Association since 1998.